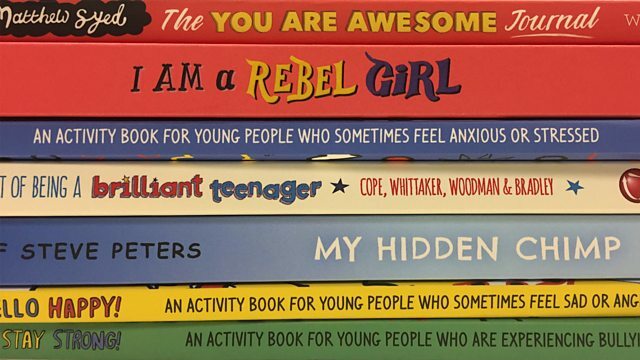 A growing number of self-help books are being written for children aged two to 18. And celebrities take part in an experiment to see how a diet of junk takeaway food affects them. The author of the bestselling children's book "You Are Awesome", Matthew Syed joins us to discuss the growing number of self-help books now being published. According to The Bookseller, sales of non-fiction children's books, which includes the self-help category, grew by 33% last year, while sales of children's books were pretty much flat. The two best-selling non-fiction books "Stories of Boys Who Dare to be Different" by Ben Brooks and "You Are Awesome" are both aimed at inspiring children to realise their potential. What can be learned from these books and why are they becoming so popular? One in every four of our high street food retailers is now a takeway, according to research from think tank The Food Foundation. It says 5,800 new fast food outlets have opened in the last three and a half years. A TV programme on Wednesday is an experiment on the effect of eating lots of takeaways on six celebrities. Dr Michael Moseley joins us to tell us about what they found. We also speak to the Government Minister in charge of Public Health, Steve Brine MP about the efforts being made to curb the number of unhealthy eateries on the high street. Plus as two professional cyclists say they have been targeted by aggressive drivers, and a third is ordered to pay compensation after attacking a motorists vehicle, we find out what can be done to stop the road rage.